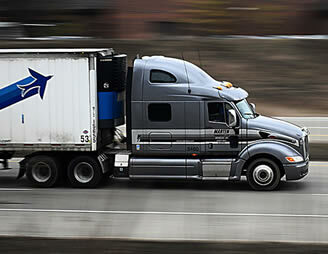 Anyone who wants to work as a commercial truck driver must have a CDL license. To receive a CDL license in New Mexico, applicants must train, take a written and skills test, and be declared fit for this line of work by a DOT certified medical doctor. There are also age restrictions; you must be at least 18 years old to driver intrastate and 21 years old for interstate driving. If an applicant passes, he/she will receive a temporary learner’s permit that’ll allow them to drive while being supervised by a licensed driver. When applicants think that they have enough practical driving experience and ready to take the road tests, they must visit their MVD office and set a schedule. Applicants must bring their own vehicle and must be accompanied by a licensed driver. 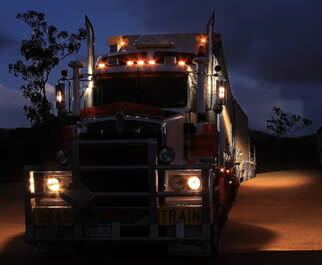 The road test is divided into a pre-trip inspection, basic driving skills, and actual on-road driving. Applicants must pass all three parts to receive their CDL. Applicants who fail any part must start all over. We are always looking for new CDL schools to include on this directory. If you know of a school, not listed here, please use our contact form to let us know. All submissions must include the name, address and phone details of the business being added. A truck driving license in New Mexico is an important requirement if you are wishing to take the career path of a commercial truck driver. The state has now made it necessary for anyone who wants to make a living as a truck driver to comply with the state and federal requirements which have been enacted in order to safeguard the security of the United States as a whole. You will need to comply with these requirements and to pass several tests which are required of truck drivers in order to ensure that the roads and the public are protected from unnecessary harm. In order for you to get a CDL in this state, you must have a current driver’s license either issued by this state or by another state. You must be of legal age, 18 or 21, in order to apply for an intrastate and an interstate CDL consecutively and you must have a clean driving record at least for the past 10 years. You should not have any serious traffic violations or have your license suspended or revoked for the prescribed number of years. The state requires several things from commercial driver’s license applicants – visual and medical certification, written test, and road test. You must also provide some personal information such as your Social Security Number, name, and address as well as supporting documents for such information such as valid IDs and your birth certificate. Aside from this, you will also need to submit to a visual and physical exam which is conducted by a DOT approved medical professional. You can ask for the DOT form at your local MVD office. Once you have passed these requirements, you will then be given a written exam where your knowledge of trucks and of road regulations will be tested so you need to study the New Mexico CDL Manual first before submitting your application. If you pass the test, you will be provided with a temporary learner’s permit so you can study how to drive the type of truck that you will be driving in the future. It is valid for a prescribed number of weeks so you have to make sure that you learn everything that you need to know to prepare for the road test. The CDL manual provides you with a list on the specific areas where you will be tested on during this test. When you think that you are ready for your road test, you will need to visit the MVD office to secure a schedule. You will need to bring your own vehicle and you also have to be accompanied by a licensed individual when bringing the truck to the testing center. The MVD will test you on the following areas – pre-trip inspection, basic driving skills, and road skills. You will be assessed on how you handle the truck in different types of circumstances such as in heavy traffic. If you pass the road test, you will be given your truck driving license in New Mexico. If you need help learning the skills to pass the exams you can find truck driving schools in NM to help. Within a matter of weeks you will have learned the road skills required with time behind the wheel and have the knowledge to work behind the wheel. Below is the contact details for the state motor vehicle division as well as a link to the CDL manual.